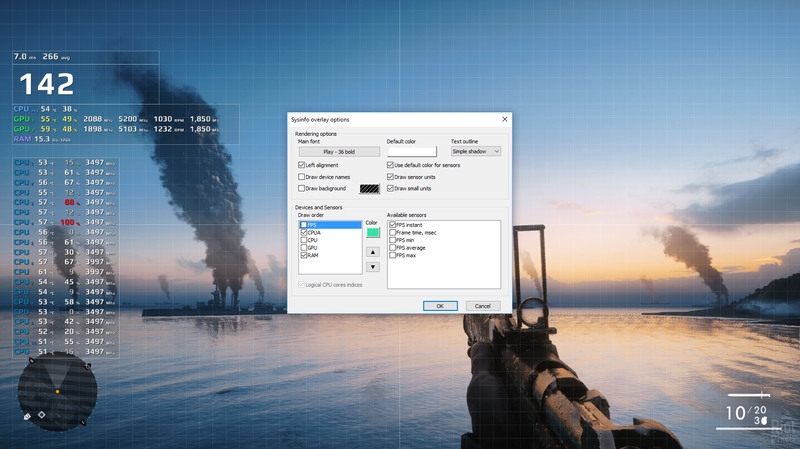 FPS Monitor tracks your PC's hardware state and displays this information as an overlay in-game. You no longer need to switch to desktop or attach a second display to control your hardware status. FPS Monitor will show all valuable information in-game. 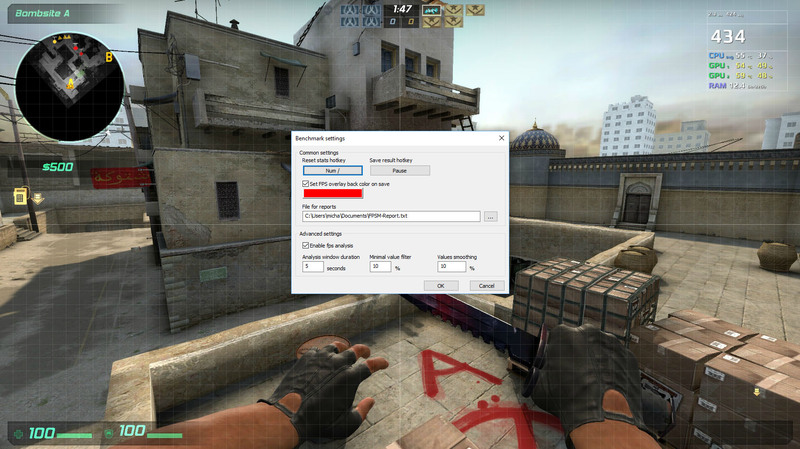 FPS Monitor is the very first special software tool that not only shows an FPS counter similar to good old Fraps™, but can also display a lot of other parameters. This gives a clear overview of how your hardware is performing whilst gaming. FPS Monitor examines almost all hardware that affects your perception of a game and, as a result, your enjoyment of a game. 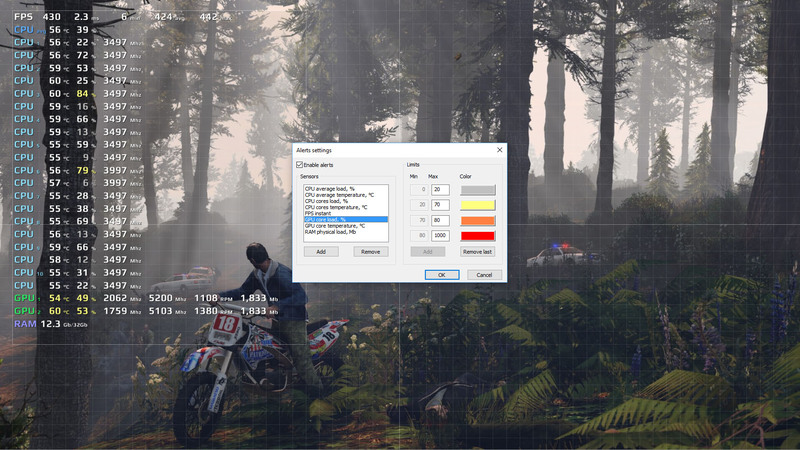 The program will show where loads are too high in your game - CPU or GPU. Or maybe the bottleneck is in your hard disk? Or even network connection? You can configure the font, size, style, colors and other rendering options for each sensor value. Of course, you can turn any sensor on or off. In other words, you're able to create your own overlay that will not interfere with your game play. If you prefer not to put all data in a single location, just add another overlay and enable the sensors that you really need. Showing system information in real time as a game overlay is just a basic part of FPS Monitor. Additionally, it can collect hardware usage statistics (for a defined time period) and write it to file for futher analysis. Overclockers will like this special feature of FPS Monitor - Hardware Alerts! The software will warn you in the overlay when your hardware is running in a dangerous state or close to critial. Want to get more? Check out the older brother of FPS Monitor - PlayClaw. It has more overlays, it can record and stream, it is good. Buying a license will remove all demo restrictions and help us develop this tool further. We want to create the most useful and informative too that will help you track and analyze all important information about your system. Thank you for your support! All payments are processed by our partner service Xsolla. All operations are secured. Please send all questions and suggestions to support email or through the widget in the lower right. Please provide a program log file after you encounter the problem. This is the FPSMonitor.txt file located in the MyDocuments folder. Do not see overlays in a game? Please provide a log file and tell us what game you tried. Also clarify if you don't see overlays in all games or only in some specific game. A game crashed while running FPS Monitor? This is possible if you are running other tools that also add an overlay to your game or you are using a tool that records gameplay. If this is the case, please let us know which other tools you are using.